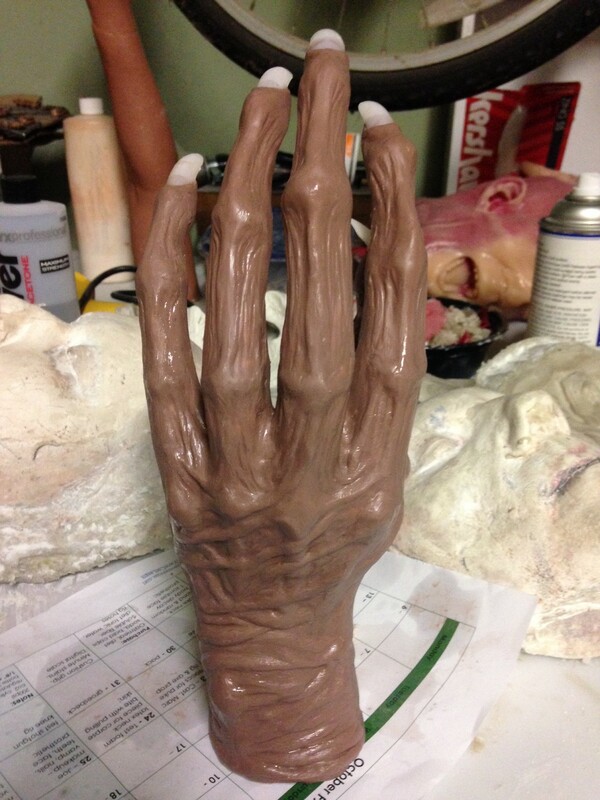 I have a sculpt with lone finger extensions and a boney hand structure but instead of using an appliance on all of them I need a full glove to fit snug enough to support the fingers on a few of them. You should be able to attach your pieces to something like a thin lycra glove. It all depends on how you want the glove to terminate into your performer's arm/wardrobe, and what you want to attach/blend. A 2 piece ultracal mold and latex would probably be the easiest/fastest approach. Awe man thanks, I was planning on using silicone anyways. This video is perfect because the extras will have sleeves for the most part. I appreciate your quick response this really helps. I only have 2 weeks to make several as well as finish up a lot of other gags. Awesome, glad I was able to help. Hope you can share some photos/video of what you make here on the forums! I will for sure. 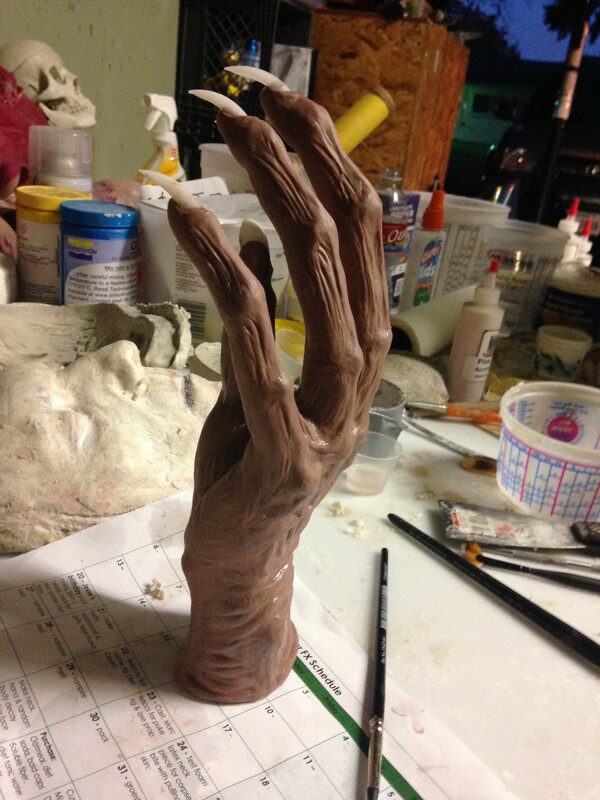 Probably on Monday if I can get my molds finished by then. 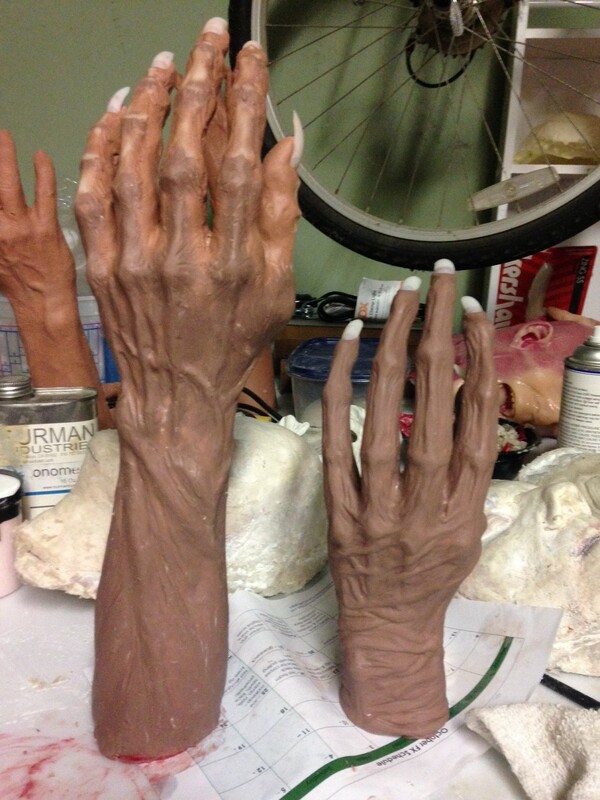 I'm also havering to design a hand rig with growing talon nails so I might use latex for that version. So this is the hands I was talking about. I was going to do a Platsil 10 silicone slush mold but I'm thinking It won't be strong enough. 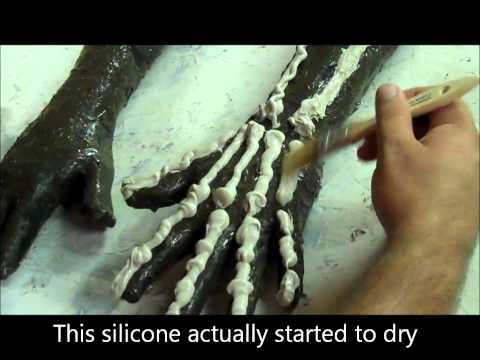 Then I was going to use the gloves like the video you posted but since they are solid clay and not on stone I can't make a thin prosthetic. I don't have time to do anymore detail or smoothing because I have so much other stuff to finish by next week. So maybe a 2 piece ultracal mold and do a latex slush or do you think I could use a polyurethane rubber to mold it in one piece and just have one slit up the underneath? WOW!!.. They look great. Congrats on the detail.